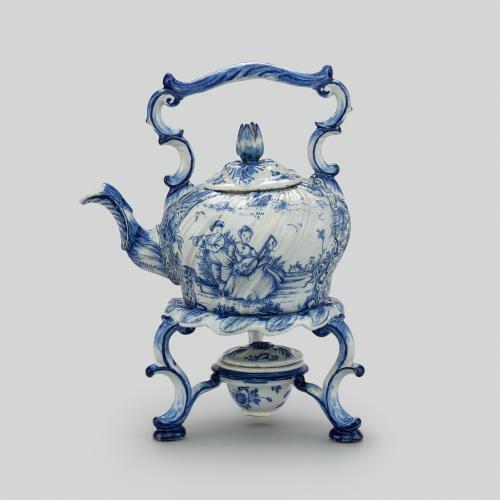 This hot water kettle and stand was made in Delft and is marked for Geertruij Verstelle, the proprietor of Het Oude Moriaanshooft (The Old Moor’s Head Factory) between 1761 and 1769. Moulded in the rococo style, it is decorated with paintings of fashionable couples dancing and playing music within a picturesque landscape. From the early 18th century, kettles were an essential piece of equipage for preparing tea. 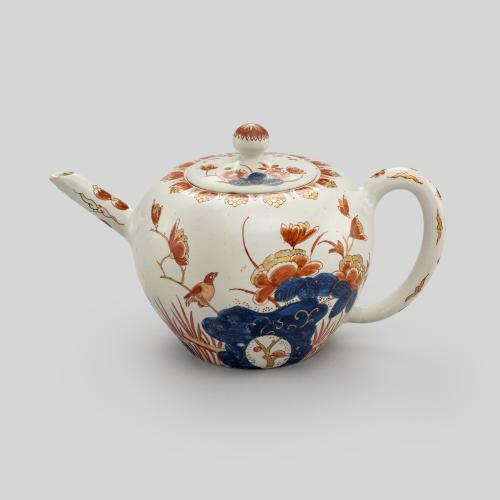 As early teapots tended to be small, they needed to be refilled with hot water if more than one or two people were being served. This also allowed for the expensive tea leaves to be reused. 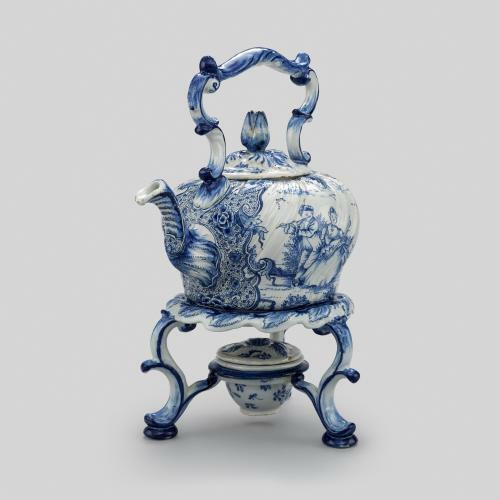 The design for this kettle and its warming stand probably derives from a silver or pewter example, and is typical of the type of kettle produced by silversmiths in the 1750s and 1760s, both in Amsterdam and The Hague. While the factory produced a number of these which have survived, it is unusual to find a kettle made from ceramic. 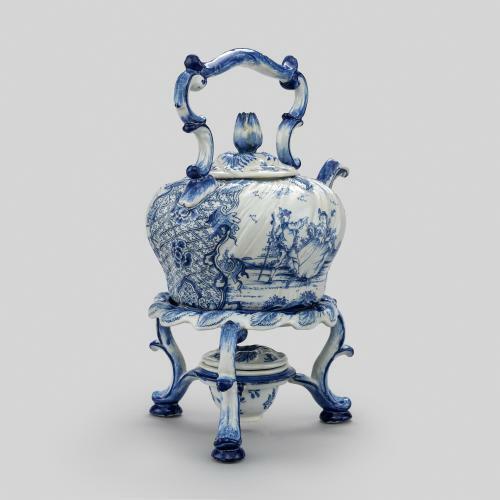 Similar examples exist in the Victoria and Albert Museum and the Rijksmuseum. 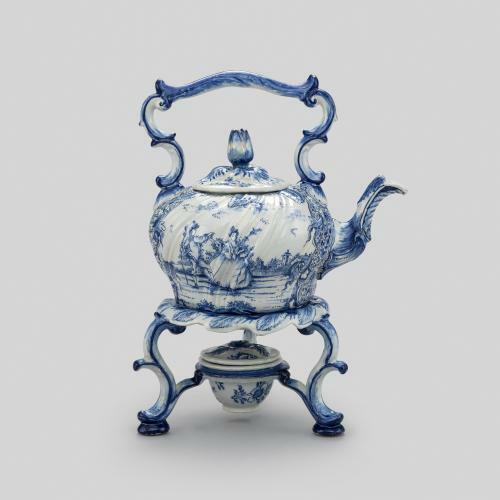 Two teapots, tin-glazed earthenware and enamels (Delftware), Netherlands, 1720-1730.